Will Co-Op pull out of banking? 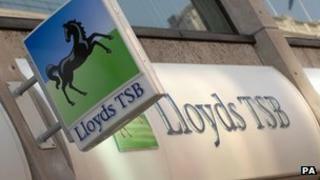 For Lloyds, the Co-Op's decision not to buy 631 branches with £25bn of deposits from it should not be too damaging. The European Commission is forcing Lloyds to dispose of this operation, which is being rebranded as TSB, to promote competition, and that will still happen - by floating the separated business on the stock market. But for the Co-Op and the banking market, the ramifications are much more serious. The Co-Op's board yesterday decided that the new regulatory burdens being placed on banks and the weakness of the economy makes banking a much less attractive business. It will now review its existing banking operations, under a new chief executive who arrives on 1 May, and I am told that it could decide to withdraw from banking completely. That would be a huge blow to the Treasury and Bank of England, which had hoped that the Co-Op would become a powerful competitor to the big banks. To be clear, the Co-op isn't going to withdraw from banking tomorrow, so there is no reason for Co-op depositors to feel they are going to be left high and dry. The outgoing chief executive, Peter Marks, says the Co-op will develop its banking operation over the long term. But I understand there is a possibility it will get out of the business in an orderly way, after the new chief executive, Euan Sutherland, has had a chance to review it. And here is one important reason why the non-bankers on the Co-op's board are nervous about getting bigger in banking: they are acutely aware of how the non-bankers at HBOS, Sir James Crosby, Andy Hornby and Lord Stevenson, were pilloried by MPs earlier this month for making a total horlicks of their bank. Most important, however, is how the Co-op's withdrawal from the Lloyds deal highlights the tension between the government's twin ambitions - of making banks safer through increased and improved regulation and promoting competition. The Co-op apparently took the view that it could not adequately cover the costs of the increased regulatory burden on banks, even when enlarged by the Lloyds deal, in the UK's worsened economic climate. And here is perhaps the most telling fact. The Co-op was buying a bank from Lloyds that is far better capitalised than its existing bank, so it would actually have been strengthened, in a prudential sense, by buying the 631 TSB branches and £25bn of deposits. But even with that huge incentive, it could not persuade itself that pressing on with the acquisition made commercial sense (and this from a co-operative, whose profit motive is less acute than most PLCs).